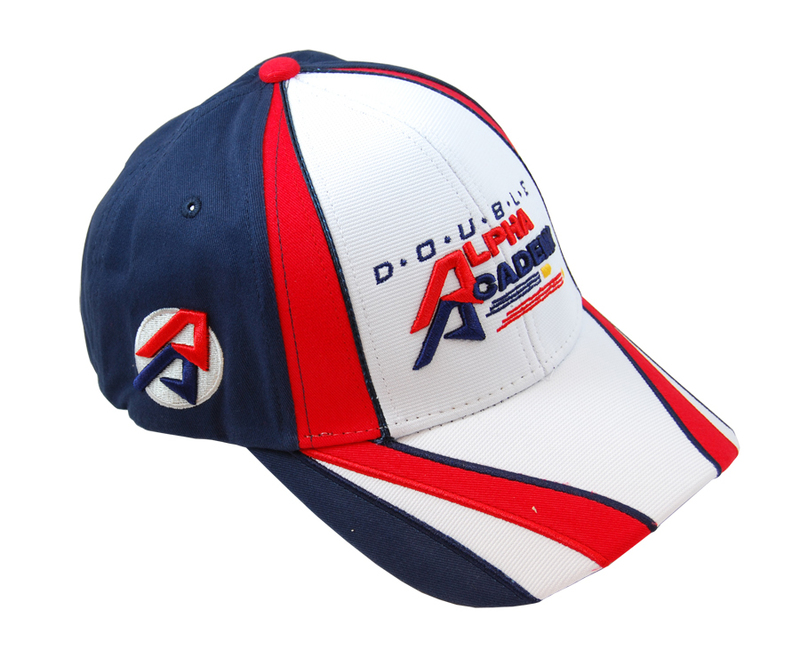 Great hat, a pleasure to wear.Well made, with good stitching. Excellent, good quality! There is no fault, it fulfills its function. I love this cap! Super high quality and stylish. I save it for competition days. Ótimo produto, recomendo para os mais diversos tipos de esporte, gostei muito, parabéns ! 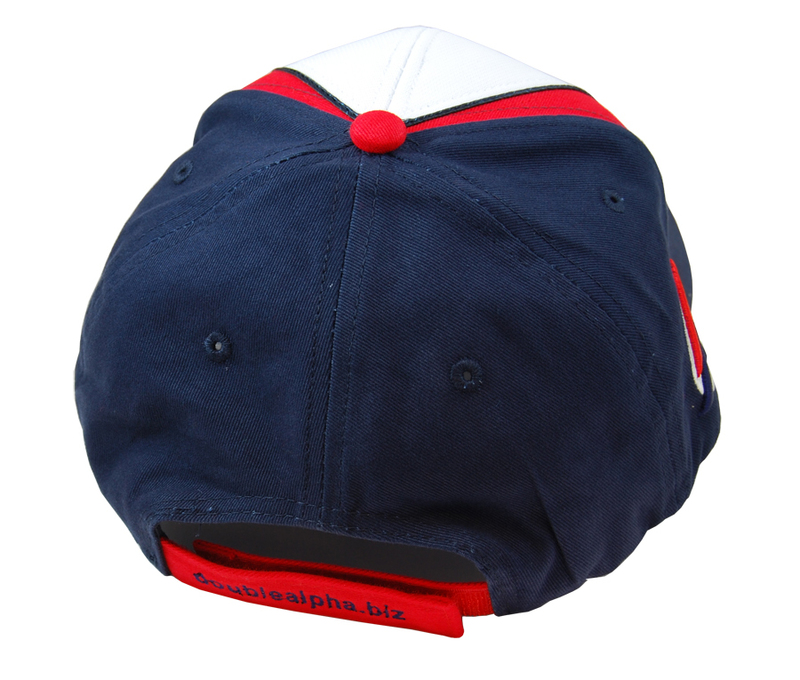 A smart looking, top quality baseball-like cap, in white, red and navy color scheme. 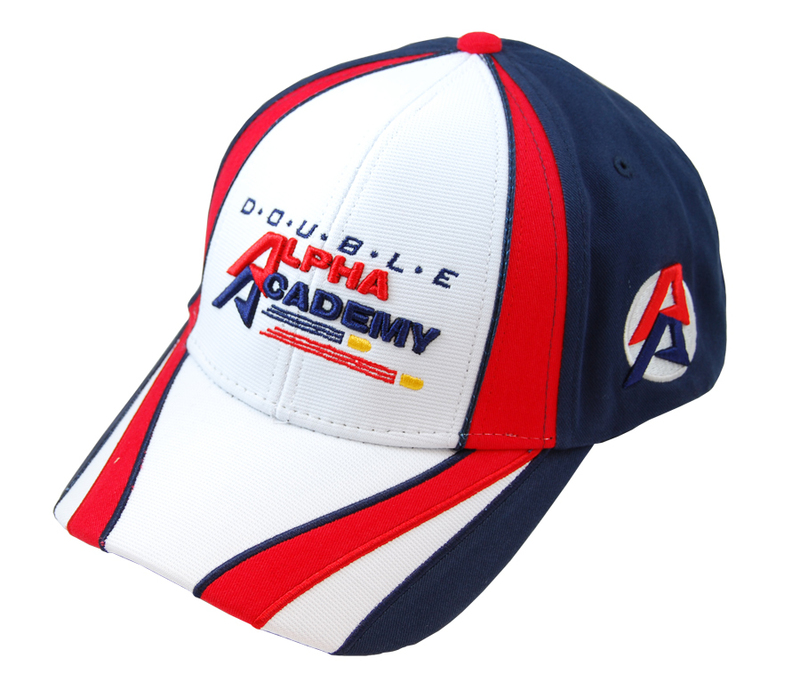 The Double-Alpha Shooting Cap boasts a 3-D embroidered DAA logo on the front, and the round 3-D DAA logo on left and right sides.